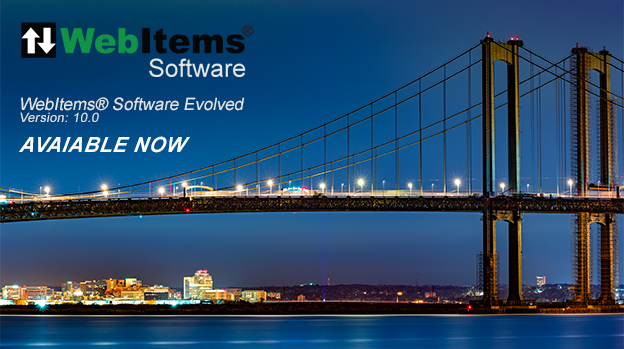 WebItems® Software is evolving. Version 10.0 Launched! To Learn More, please visit our NEW web site at www.WebItemsSoftware.com. 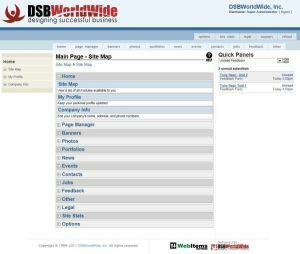 DSBWorldWide has created a suite of business web content management software that will allow your company to add interactive WebItems® Software to your web site design. With these WebItems® Software modules, you can administrate and customize your web site without needing any knowledge of HTML or extensive training in web design or programming. Please feel free to browse through the list of available WebItems® Software in the modules section of this site and contact us if you have any questions or if you would like to have a certain WebItems® Software module integrated into your company's web site. Easily change out your page look with WebItems® UStyles! Manage your content and navigation easily with WebItems® Software! DSBWordWide, Inc (903) 813 4188 is a professional web design and development company based north of Dallas Texas. DSBWorldWide is a creative graphic agency that provides mobile web design, business website design, web application (app) development and graphic agency services for local clients in the Dallas, Plano, Frisco, Mckinney, North Texas and Southern Okllahoma Region. Our client list also includes companies from Florida to Alaska and we provide online maketing services and website design services Nationwide. We supply our clients with online marketing consulation, social marketing planing, search engine optomisation and social / portal media management solutions. DSBWorldWide can make it easy to get your business company website working as a platform for selling, promoting and marketing your products and services online. DSBWorldwide provides creative graphic design services that represent exceptional value for web design, website development and traditional print media. Our team of professionals are US based talented coders and designers. DSBWorldWide combines creative agency services and website development with solid online marketing know-how. We have a proven track record of successful web designs, online applications and marketing solutions for clients in Dallas, Texas and throughout the country. Our custom web applications built into your website can be as powerful or as flexible as you can imagine. Our programming teams bring you experience in virtually all major platforms and environments to your e-commerce or shopping cart system, your content management module, your online community, and all around business image. 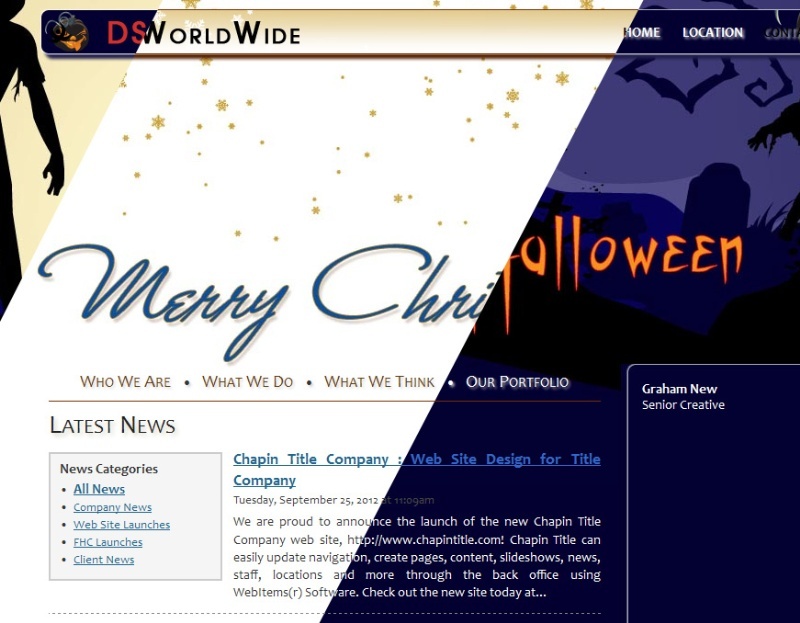 DSBWorldWide is a top proffessional website design and development firm in Dallas Texas. Web programmers are often the unsung heroes of the World Wide Web. They create the often invisible elements of your web site that make it more useful than just a nice looking web design. From database set up and content management modules ,to processing orders, it all comes from the programmers, and often the proficiency of the programmers behind the scenes is what ultimately makes the difference in whether or not your online business is successful. This is why DSBWorldWide is the right choice for web application programming in the Dallas metroplex, North Texas & Southern Oklahoma area. Webitems modules can save time and money when incorporated into your business website or shopping cart web design. Pre-built web applications (modules) integrated into website like Photo Galleries, Product Listings, News or Blogs can provide flexibility to your online marketing presentations. DSB has an extensive library of various popular online programs and applications that are a breeze to incorporate into an existing site, or into your new web development package. Sometimes it's difficult to know where to begin when starting a new online or offline venture, and sometimes it is even more difficult to enhance an existing one. This is when DSBWorldWide consultants can help your business. Our team has extensive experience in managing, planning, implementing and delivery of enterprise-wide technology and internet marketing initiatives. DSBWorldWide's graphic design department is an experienced group of creative professionals and designers. With experience in virtually all aspects of corporate design, including print, CD-rom Business cards and multi-media. Your firm will benefit from our understanding of color, form, usability, presentation, business, and marketing. We are Dallas. Fort. Worth, Mckinney, North Texas and Southern Oklahoma's graphic web designers at its best. From flash presentations to tutorials to digital business cards and more, DSBWordWide can help your company by creating stunning visuals and audio effects. Whether you need just a little bit of flash to spruce up your website, or a high end dynamic multimedia solution, we are the right choice in Dallas North Texas & Southern Oklahoma. DSBWorldWide can help you identify which advertising and marketing avenues would most benefit your online or traditional market plan. We can design all the necessary collateral materials as well. Whether you need us to design banners, lead generating micro web sites, icons, or just consultation on a marketing plan, DSBWorldWide has you covered. Contact us 903 813 4188 to learn more about our Internet Promotions. At DSBWorldWide, we know that excellent website design is only the starting point of effective online marketing. The value of good solid content copywriting is they way it can augment a website design to produce an ideal platform for your internet marketing needs. Our staff of copywriters is the best in Dallas North Texas & Southern Oklahoma. Good copywriting can hit a homerun with any company brand marketing message, as well as assist in website ranking, Search Engine Optomising (SEO) and printed advertising effectiveness as well as improving your overall business image.